Broadcast - Shenzhen Radiant Technology Co., Ltd. 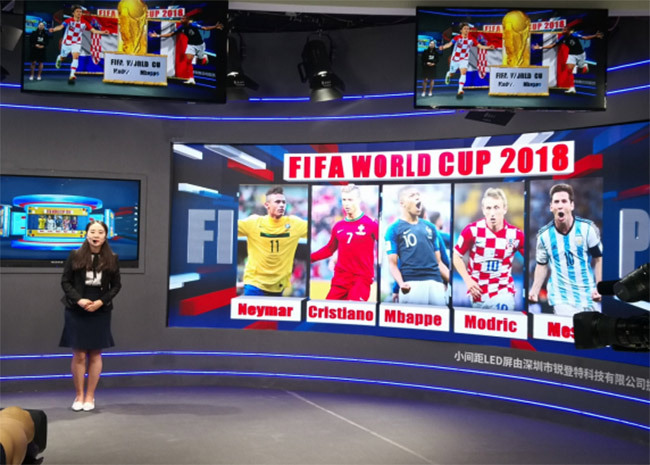 LED digital display technology is enabling new trends in broadcast room background wall. Due to high resolution and high quality demand, small pixel pitch and precise technology process can keep the screen quality on a high level. Meanwhile, broadcast has special system requirement, so we have to consider it before we design and produce. In addition, customization and creative is necessary. We not only provide hardware system support, but also provide software system support. All quotation stands on solution choice. We also supply value-added service, like clients protection on NDA, special projects protection, market analysis, brand effect support, longer warranty time, points redemption, etc.